Dr. Hoogs is the Senior Director of Computer Vision at Kitware, a small software R&D firm based on open source. Dr. Hoogs leads Kitware’s Computer Vision group, which he started in 2007. It now has 25 members, including 12 PhDs. He has initiated and led more than two dozen government- sponsored contracts in video and motion analysis, involving more than 15 universities and multiple government institutions. At GE Global Research (1998- 2007), Dr. Hoogs led a team of researchers in video and imagery analysis on projects sponsored by the US Government, Lockheed Martin, and NBC Universal. For more than two decades, he has supervised and performed research in various areas of computer vision including: event, activity, and behavior recognition; motion pattern learning and anomaly detection; tracking; visual semantics; image segmentation; object recognition; and content-based retrieval. In 2014 he served on the organizing panel for the National Academies Workshop on Robust Methods for the Analysis of Images and Videos for Fisheries Stock Assessment, sponsored by NOAA, and subsequently joined the steering committee of the National Marine Fisheries Service Strategic Initiative on Automated Image Analysis. 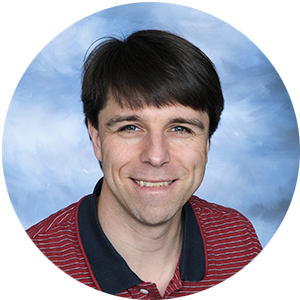 He has published more than 80 papers in computer vision, and has served as General Co-Chair for CVPR 2017; General Co-Chair for the Winter conference on Applications of Computer Vision (WACV) 2016 and WACV 2018; Workshops Co-Chair, Corporate Relations Chair (multiple times), and Area Chair (multiple times) for CVPR; program Co-Chair for WACV; steering committee for WACV. Dr. Hoogs received a Ph.D. in Computer and Information Science from the University of Pennsylvania in 1998, in the GRASP Lab under Dr. Ruzena Bajcsy; an M.S. from the University of Illinois at Urbana-Champaign in 1991; and a B.A. from Amherst College in 1989. Dr. Richards completed his PhD in Zoology at the University of Hawaii in 2011, where he studied the ecology and patterns in habitat preference of large-bodied reef fish. In 2004, Dr. Richards joined the Coral Reef Ecosystem Division of the NOAA Pacific Islands Fisheries Science Center (PIFSC) in Honolulu, modeling the distribution of Pacific reef fish associated with various natural and anthropogenic environmental factors. Input data for these studies were generated using diver-based visual surveys. Inter-observer variation and the paucity of data from below diver depths (>30m) brought the use of camera-based technologies. Since moving to the PIFSC Stock Assessment Division in 2010, Dr. Richards’ research has focused on the use of advanced fishery-independent sampling technologies, including optical camera systems, to generate species- specific, size-structured abundance data for use in the Hawaii bottomfish stock assessment. The volume of data produced by these camera systems has quickly overwhelmed the capabilities of human analysts and his research has thus expanded to include the development of automated classifiers to generate species-specific, size-structured abundance estimates from underwater video surveys. Dr. Richards currently serves as a member of the National Marine Fisheries Service Advanced Sampling Technology Working Group and is chair of the NMFS Strategic Initiative on Automated Image Analysis. Dr. Kreigman received a B.S.E. degree in EECS from Princeton University in 1983, and an M.S. degree in 1984 and Ph.D. in 1990 in Electrical Engineering from Stanford University. Since 2002, he has been a Professor of Computer Science and Engineering in the Jacobs School of Engineering at the University of California, San Diego. Prior to joining UCSD, he was on the faculties at Yale University and University of Illinois at Urbana-Champaign. Dr. Kriegman’s research is in computer vision with particular application to face recognition, robotics, computer graphics, microscopy, and coral reef ecology. Kriegman was chosen for an NSF Young Investigator Award, and has received best paper awards at the 1996 IEEE Conference on Computer Vision and Pattern Recognition (CVPR), the 1998 European Conference on Computer Vision, and the 2007 International Conference on Computer Vision (Marr Prize, runner up) as well as the 2003 Paper of the Year Award from the Journal of Structural Biology. He has served as Program Co-chair of the IEEE Conference on Computer Vision and Pattern Recognition (CVPR) in 2000 and General Co-chair of CVPR 2005. He was the Editor-in-Chief (2005-2008) of the IEEE Transactions on Pattern Analysis and Machine Intelligence (TPAMI). He presently serves on the NOAA NMFS Automated Image Analysis Strategic Initiative Committee, and previously served on the planning panel of the 2014 National Academies Workshop on Robust Methods for the Analysis of Images and Videos for Fisheries Stock Assessment.